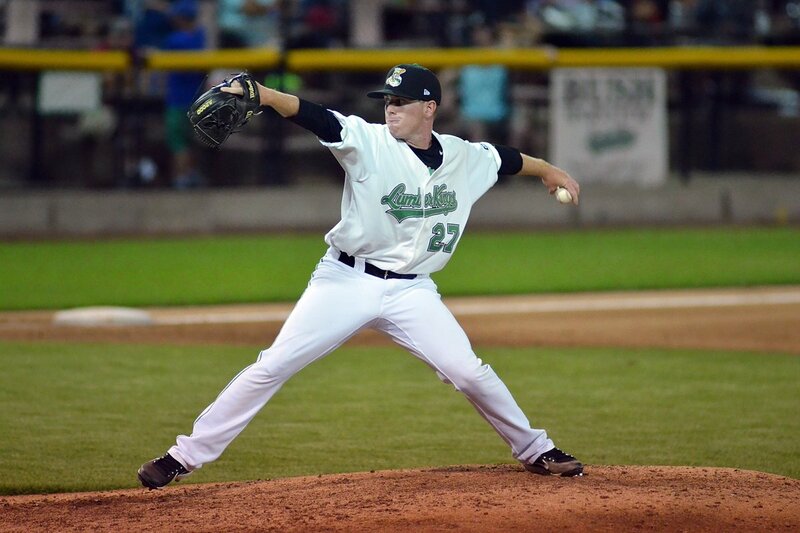 The Seattle Mariners traded away three former Clinton LumberKings pitchers in the past week, in three different transactions. On Wednesday, they traded RHP Emilio Pagan and minor-league shortstop Alexander Campos to the Oakland Athletics for designated hitter/corner infielder Ryon Healy. Pagan pitched for the LumberKings in 2014, going 2-3 with a 2.89 ERA, 16 saves, 62 strikeouts and 14 walks in 56 innings (42 relief appearances). He made his major-league debut for the Mariners this year. On Thursday, the Mariners traded RHP Thyago Vieira to the Chicago White Sox for $500,000 in international signing bonus allotment money. The Brazilian fastballer pitched for the LumberKings in 2014 and 2015, cumulatively going 2-5 with a 6.31 ERA, 45 strikeouts and 34 walks in 51.1 innings (35 relief appearances). He has since improved his control, and made his MLB debut for the Mariners in August of this year. On Saturday, the Mariners traded minor-league LHP John Patrick “J.P.” Sears and minor-league RHP Juan Then to the New York Yankees for RHP Nick Rumbelow. Sears pitched in 10 games for the LumberKings this year, giving up only two unearned runs while striking out 29 and walking nine in 17 innings. He finished five games, collecting three saves in the process.